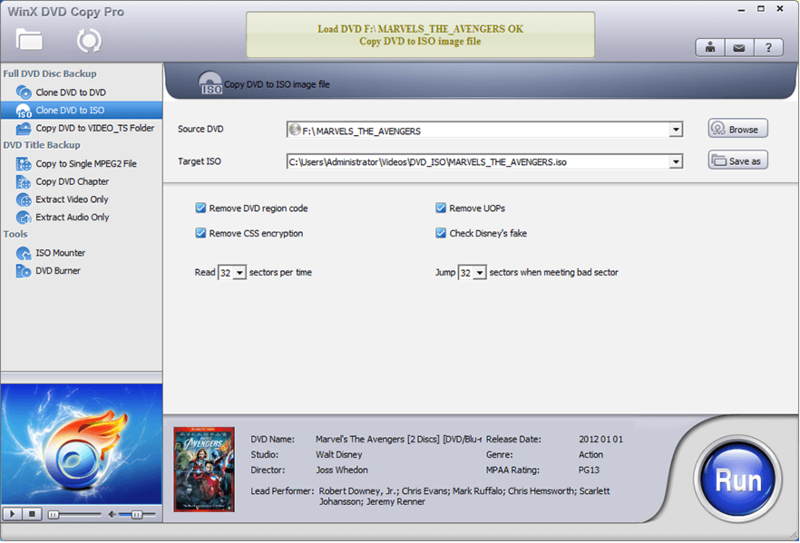 WinX DVD Copy Pro is specially designed to meet users' up-to-date DVD backup demand in Windows: clone DVD to DVD disc for safe storage; copy DVD to ISO image for later burning, playing or ripping; copy DVD to MPEG2 file with intact content for further usage in media center, DVD library establishment and DVD playback in PS3, HTPC. Equipped with ISO mounter and DVD burner, it can also help mount ISO to a virtual drive and burn DVD to DVD. Without any third party DVD CSS tool, WinX DVD Copy Pro has unlimited access to all region codes and read-only DVDs. It does the trick for extremely scratched DVDs, and faultlessly supports Disney's Fake, Sony ARccOS bad sector, while these obstacles beat most of DVD copy software in the current market. 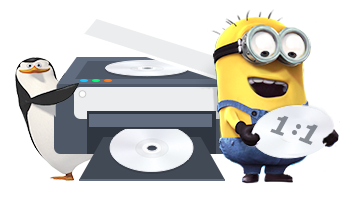 The sector-by-sector disc duplication mode ensures a 100% original copy in quality, structure and content. 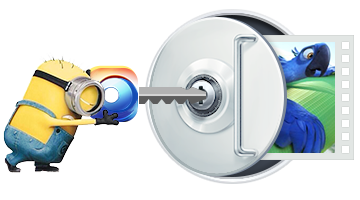 WinX is the strongest backup tool for both old scratched DVDs and new 99-title DVDs. With an average CPU cost of less than 1%. Produce a 1:1 DVD Copy within 12-17 minutes with crystal clear image and hi-fi sound. 1:1 Clone DVD to blank DVD discs for safe storage without any quality degradation. 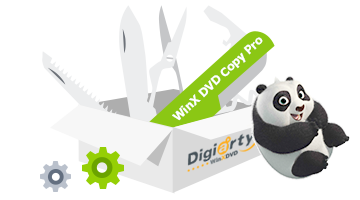 WinX DVD Copy Pro allows you to copy D9 to D9 (8.5 GB), copy D5 to D5 (4.7 GB), or clone intact DVD video audio data to blank DVD-/+R (DL), DVD-/+RW (DL), DVD RAM. 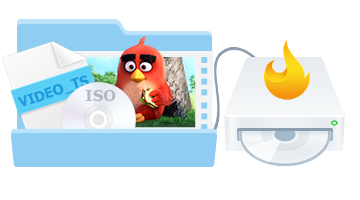 Clone DVD to ISO image and DVD to VIDEO_TS folder at 1:1 ratio while preserving all Menus, Subtitles & Languages. With enhanced DVD to ISO copy engine, this DVD backup software can obviate unnecessary procedure, so as to consume less time but produce better outcome. Copy original DVD Audio/Video data and remux to single MPEG-2 file which can be played back on PS3, Xbox, Wii and TVs from USB flash drive, even further edit in Windows Media Center. Support DVD Title / Chapter backup, Extract Video / Audio for particular use. One tool makes all sorts of DVDs accessible which has perfect compatibility with any Region Codes, CSS, RCE, UOPs (FBI warnings), Sony ARccOS, APS as well as Disney X-project DRM tricks. Disney Fake checking feature entitles WinX DVD Copy Pro one of the best DVD cloning software capable of successfully copying the latest DVD with 99 titles. With built-in ISO image mounter and DVD burner, WinX DVD Copy Pro can mount DVD ISO image and burn ISO image or VIDEO_TS folder to DVD disc. While mounting ISO, it creates a virtual drive so that the cloned DVD ISO image is virtualized as a real disc loaded in the drive. Advanced bad sector recover engine repairs corrupted sectors to the greatest degree while backing up old scratched DVDs, dirty, worn and minor cracked DVDs. It can also clone DVD with Sony ARccOS bad sectors deliberately created on the DVD to crash ordinary DVD cloning tools. 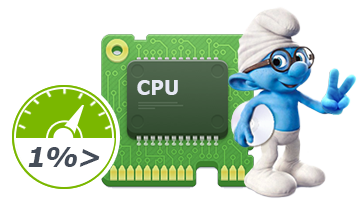 With an average CPU cost of less than 1%, its source-efficient DVD backup process is effective enough to produce a 1:1 DVD Copy within 12-17 minutes (also depending on CPU and DVD drive speed). 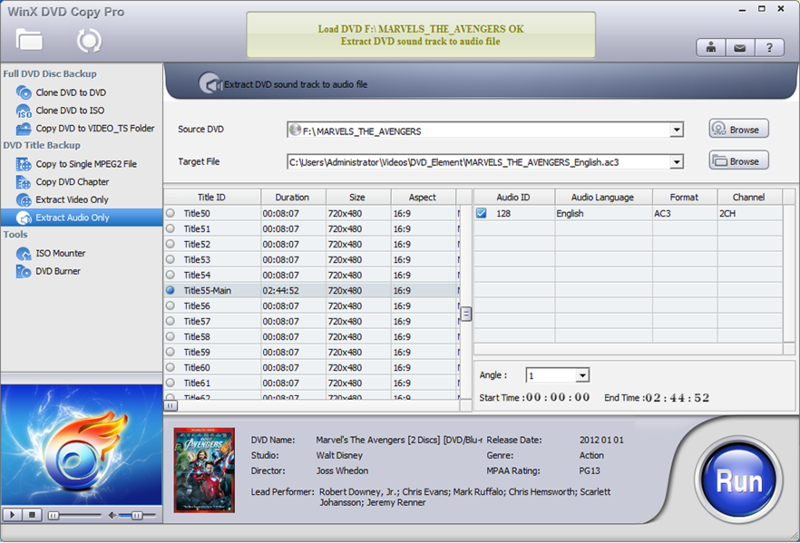 Every copy created by WinX DVD Copy Pro is exactly the replica of origin DVD with crystal clear image and hi-fi sound. WinX DVD Copy Pro is an easy-to-use DVD backup solution for all user level. It is designed with an straightforward interface that makes a DVD copy as easy as 1-2-3 routine. For advanced users, this DVD copy software offers flexible settings for DVD backup, for example, it allows you to choose the exact type of protection mechanism you want to remove and choose the number of sectors to be read and jumped while backing up read-only DVD movies. The latest released DVD has 99 titles and the DVD size is larger than 40 GB. When backing up such kind of DVD, common DVD copy program usually crashes or works out of order. 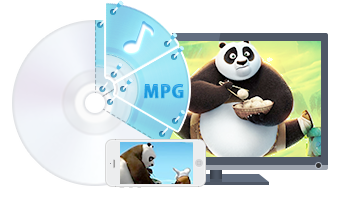 WinX DVD Copy Pro is able to auto detect the right DVD title and smoothly clone DVD to DVD, ISO, VIDEO_TS folder, copy DVD to MPEG2, etc. with correct order. It's constantly updated to support the latest DVDs. How to Copy a DVD on Windows 10/8/7 If you've got a lot of valuable DVDs in collection, it's important to use a reliable DVD copy software to make backup copies. How to copy a DVD to PC easily on Windows 10/8/7 or copy it to a new DVD disc with intact quality? 2019 Top 3 Free DVD Copy Software Review In need of relying on DVD copy software to clone DVDs? Rather than aimlessly searching from mass data, you're suggested to read the tips for finding DVD copy software and recommended top three free DVD copy software 2019 first. How to Clone DVD to DVD Without Limitation Cloning DVD to DVD is far and away trend-driven. Firstly, DVD disc is a rock-like but fragile object. 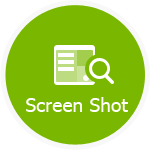 It can be unreadable due to both inborn bad sector and physical damage caused by carelessness, overlong or improper storage, etc. How to Burn ISO to DVD on PC with Ease? Is there any software to burn ISO to a DVD disc on 10/8/7 if you once have created ISO out of an original DVD? Well, yes! 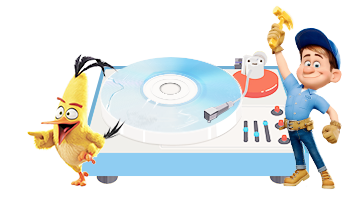 Here you can find solutions to burn ISO image to DVD, DVD to DVD, video to DVD, folder to DVD, etc. How to Copy DVD to VIDEO_TS Folder VIDEO_TS, composed of IFO, BUF and VOB files, is the most important composition in DVD folder. VOB file contained in this folder can be played on WMP, KMP, PowerDVD, DAPlayer and VLC, etc., or further burned into DVD.